who was born on this date in 1830.
who died on this date in 1975. *** Today is Hobbit Day. This is the latest post in a series that will, in effect, create a library of classics that are available as free ebooks. Check out the full library to date here…. This week we focus on the works of Scottish writer George MacDonald, whose work influenced C.S. Lewis and others. We have selected the following books as recommended reading. We are encouraging our readers to mix up their reading habits, and read (or re-read) classics in addition to new books, such as the ones we review here in the ERB. Broadly speaking, a classic is any book that is not a new book, or in other words that is worth reading five, ten or even one hundred years after its initial publication. ERB Editor Chris Smith has an article on The Huffington Post website arguing for reading a mix of classics and new books. 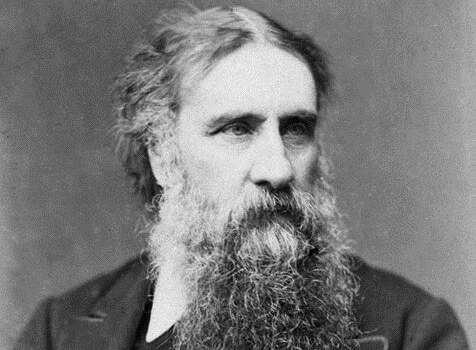 This week marked the anniversary of the death of George MacDonald, a noted Scottish novelist of the 19th century, whose work influenced C.S. Lewis, W.H. Auden and others. MacDonald was also a poet. Here are three excellent poems from his collection A Hidden Life and Other Poems. by Andrew Root – Only $1.99!!! This week we focus on Early Children’s Literature (Pre-1900). We have selected the following books as recommended reading. These are important books that would be great for children to read or for families to read aloud together. This list is also a great resource for homeschooling families.